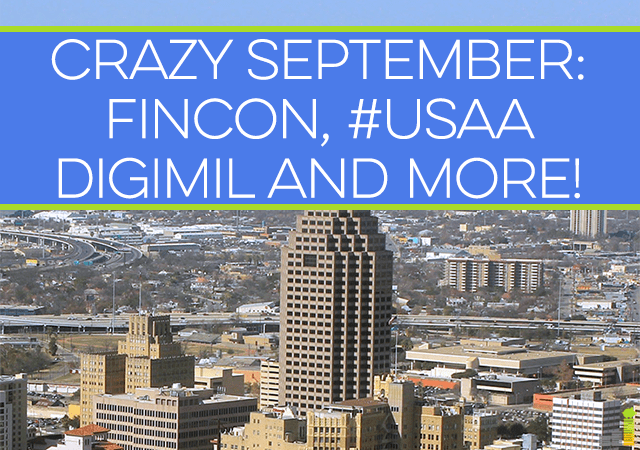 Crazy September: FinCon, #USAADigiMil and More! 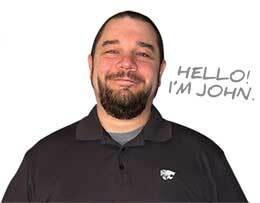 Howdy friends! I’ve been a bit out of the loop over the past month or so. Well, for the entire month of September really. Looking at my calendar, I spent five days at home and did a ton of traveling during the month. Somehow, I woke up and we’re at the end of the first week of October already! My Q3 goals post will be published on Monday, but I wanted to do a little recap of some of my travels this past month as they included some awesome conferences, as well as some fun stuff. The conferences especially, provided quite a bit in value so I wanted to share about that as well. The first stop for September was taking the oldest little Frugal Rule to Orlando as a surprise for her eighth birthday. It was a daddy/daughter trip for four days. She had no idea about the trip – which was a bit difficult since Mrs. Frugal Rules and I had been planning it for about two months. Thankfully, most of the trip was covered through rewards points; otherwise I’m quite certain I wouldn’t be doing it again. Short story long, we came home with a lot of great memories. I’ll be sharing more about Disney and my thoughts on them in a few weeks. About 48 hours after coming home from Orlando, Mrs. Frugal Rules and I jetted off to Charlotte for FinCon. This was my third FinCon and I can safely say it was my favorite. It was a great, jam-packed four days of seeing old friends and making new ones. I have to tip my hat to PT; FinCon was top notch this year. I’ve seen very few conferences consistently top what they did the year prior, but PT and his rockstar team manage to do it every year. Remembering back to my first FinCon, I felt like I had to go to each session to soak up all the learning opportunities. The sessions are great, don’t get me wrong, but the real value is what you get in between the sessions. Those networking opportunities can’t be overlooked, whether it be with another blogger or speaking with a company you want to work with. I know it’s easy to look at the cost of attending a conference like FinCon. It can be a bit much to swallow. I get that. If you’re thinking about attending FinCon, look at it as a way of what that cost and environment can provide you. Like Cat says, take that opportunity to hustle like none other. I’ve more than replaced the expense we incurred to attend the conference through the new relationships and freelance writing opportunities I got through the conference again this year which is really the approach you should take when attending. If that’s not enough incentive to get you to FinCon16, I’ll add another – it’ll be in San Diego! I love that PT announced it at the conference this year so it helps attendees plan out their travels for the following year. If you’ve never been to San Diego, I highly recommend a few days on either end of the conference to soak up some of what the city has to offer. I know, I know, my beautiful wife is from San Diego so I am a little biased. 😉 That being said, if you have any questions about things to do there just let me know and I’d be happy to help. 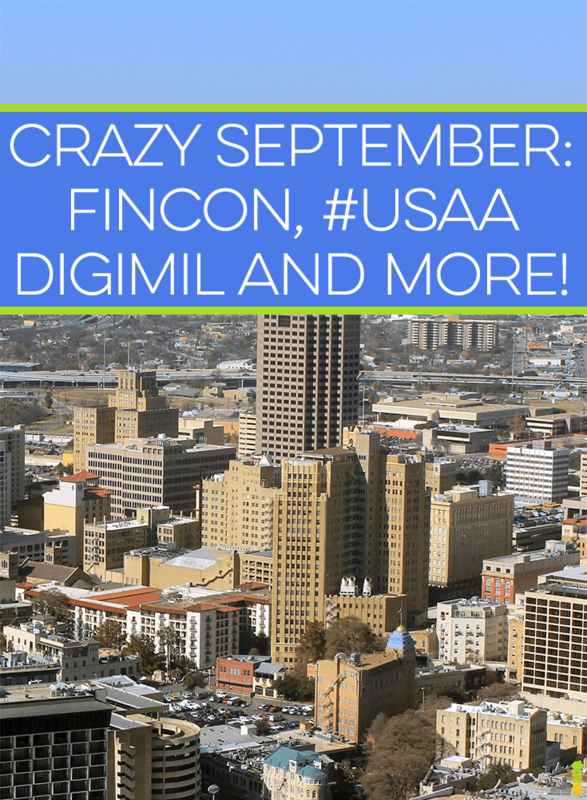 After returning home from FinCon, I came back to Omaha for about 24 hours and left again for the USAA Digital Military Expert conference and Social Exchange in San Antonio. To be completely transparent, USAA provided for the entirety of the trip though my views here are entirely my own. Honestly, I was a little hesitant at first to go to the conference mainly because of how close it was to FinCon. I also wasn’t certain how it’d relate to what I do since I’m not in the military niche. We’ve been USAA members for almost 15 years (you can check out a review of what USAA has to offer here), but I didn’t think I’d get much out of the conference. Boy, was I wrong! The first two days included sessions from topics like digital marketing, entrepreneurship, helping families facing financial struggles and much more. The conference was much more intimate than FinCon – having roughly 50 people in attendance, but it was equal in value. It was awesome to meet with bloggers and podcasters from a different niche (though about 6-8 of us had just attended FinCon) who share the same value of helping those in need. I think that speaks a lot to the integrity and service USAA seeks to provide to their members – especially given the focus they have on reaching out to those they see as influencers. The third day of the conference was, in a word, stellar. After the two-day sessions ended, they kept back about 15-20 of us to do an all day tour of their headquarters in San Antonio. When I say all day, I mean all day! It was well worth it. They let us meet with, and hear from, C-level Excutives, tour the facility and more. The place was seriously amazing – with three gyms larger than the size of my house, multiple Starbucks, restaurants and many other things to service their employees. One of the highlights was going to their “Social Exchange” area. The area was a wall of large monitors showing, in real time, social posts, traffic from influencers and even complaints made by their members on social media. Working entirely online myself, that was really cool to experience. After returning home from the DigiMil conference, I came back to Omaha for about 10 hours and we then took off for our family vacation to Dallas. To be quite honest, I really wasn’t all that excited about the trip as I wanted to sleep in my own bed and start implementing some of the takeaways from both conferences. But, all the kids knew about it and they were excited. So, off we drove to Dallas. We spent a week in Dallas and stayed at a Residence Inn (covered by points of course) so we could prepare meals. We’ve never been to Dallas, save for flying through, so it was fun discovering some of what the city has to offer. 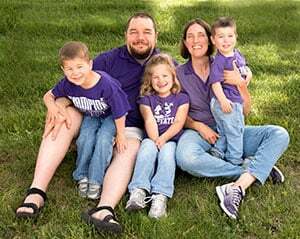 The time away also helped cement one of the major takeaways from both FinCon and the DigiMil conference – that I need to be there more for my family. While I work from home there is a big difference between just being here physically to being here physically and mentally. I’ve always struggled with having a somewhat decent work-life balance, though I want to improve upon that. Doing great business-wise is good, but if you can’t share it with those you love most then what’s it really worth? How do you handle particularly crazy months? What has been a favorite conference you’ve been to recently? Have you bought your ticket to FinCon16 yet? Yea, it was a crazy month to say the least – though it was also a very good month. You should make it out to a FinCon, it’s a great time! I really envy you for having access to cool events, such as FinCon. Back in 2012 (if I am not wrong), I was in NYC and attended Blog World Expo. It knocked my socks off, we don’t have such huge events in my country. We do have our own web related events, but they don’t compare to what you guys have there. Holy cow I have no idea how you handled that much conference! I was wiped out just by one! But I imagine you did enough networking to last a lifetime and all of that info you received will be invaluable. Hopefully this will be a restful month. Yay san diego!! So happy I can drive there. I don’t know how I handled it either, lol. I’m hoping it’ll be a restful month though I’m not too confident it will be. Great post!! September flew by for me too and I only attended FinCon, which was where I live haha. I am totally with you on the work/life balance. I am currently working FT and freelancing and blogging, plus I have my toddler girls. I’ve done some restructuring of my schedule to allow more time with my family, and hope to restructure again at the start of the new year. I’m with you – what’s the point of working so hard and making good money if you have no one to enjoy it with? Great post, as always! Hope you enjoy your weekend (work-free 😉 ). Thanks Sarah! I didn’t realize you lived in NC. Completely agreed. The money can be nice and all, but if you’re not enjoying the fruits of your labor with your family then what’s the point? Hope you have a good one as well! I had a blast at Fincon as well. It was my best conference to date. I’ve already purchased my ticket for next years event. Very cool about the USAA conference. I’ve been a member for over 20 years and have multiple accounts with them. How does one get an invite? Can you make an intro? Curious to know about the racial diversity of those who attended too. I still can’t believe you traveled so much last month!!! And, thanks for the mention. 🙂 I also made back my FinCon investment with two new clients and possibly more as time goes on and I really enjoyed it! Can’t wait until next year! Very cool to hear about the USAA conference! First I’ve ever heard of it. Sounds like some valuable info was shared. Crazy that they have 3 gyms at their headquarters…I think my work could use a second one now that we have three towers on our campus. I love to travel, but that many trips all at once would be a real test of endurance. I think that’s so sweet that you took a daddy/daughter trip. As I mentioned in my post from Wednesday, my Dad spent all his time working and now I know he wishes he’d done more hands on family time, so I think you’re making wise choices in that respect. I’d love to travel. I think I might consider going to FinCon16 to meet most bloggers like you and to learn more on financial matter. I just regret why I didn’t come over to this year’s FinCon, which I don’t want to happen again. WOW!!! That is SO whirlwind! My August and September were pretty crazy from work and travel and last week I literally had to slow things up a bit to catch my breath. As an entrepreneur, I hate taking breathers, but now I’m starting to realize the value they provide me so that I can continue to move forward with the energy and drive to accomplish the other goals I plan to accomplish.